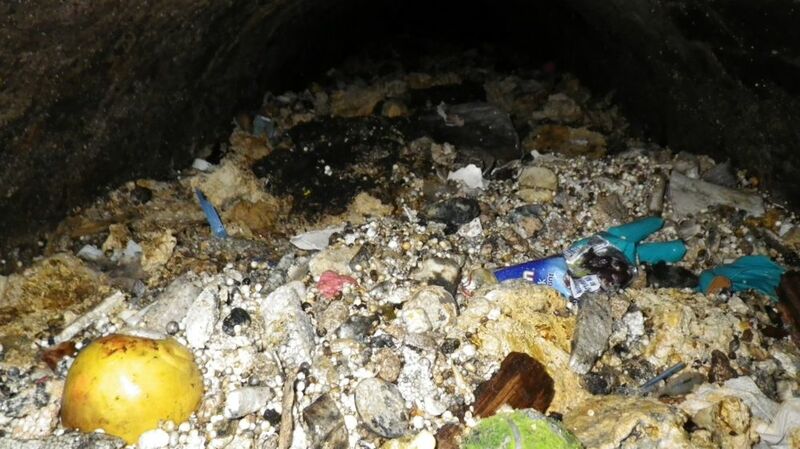 This fatberg in London took a team of workers from Thames Water four days to clear. The mixture of congealed fat, wet wipes and other litter was washed into drains or flushed down toilets. 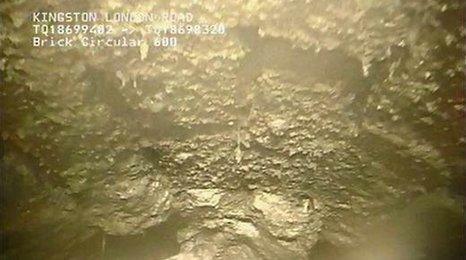 Thames Water says the fatberg formed under an 80-metre stretch of Shepherd's Bush Road, as long as commercial plane. Workers finished removing the dirt last Friday to stop local homes and businesses flooding. They used high-powered water jets to break up the congealed mass so that wastewater could start to pass through the sewer again. Dave Dennis, Thames Water sewer operations manager, said: "We have 108,000 km (62,000 miles) of sewers, and that's a lot of pipe to keep clear. 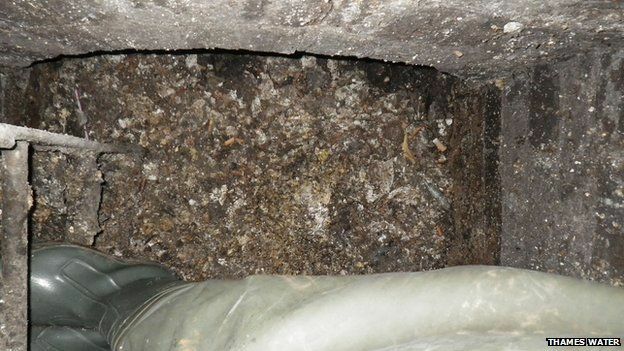 "We spend £12 million a year tackling blockages, most of them formed because people have tipped cooking fats down the drain and wet wipes down the loo. "The sewers serve an important purpose - they are not an abyss for household rubbish. 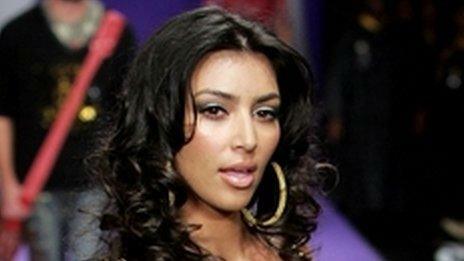 "Fat goes down the drain easily enough, but when it hits the cold sewers, it hardens into fatbergs that block pipes. He also said wet wipes were a particular problem in sewers. "Wet wipes cling to the fat," he said. 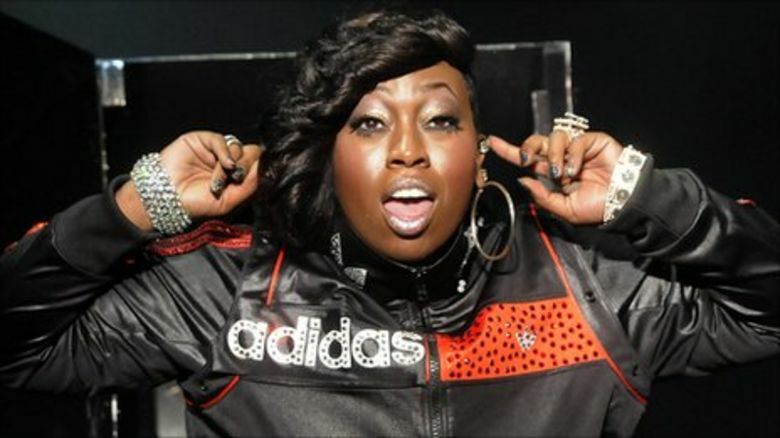 "Fat clings to the wipes. And pretty soon your fatberg is out of control and sewage is backing up into roads, gardens and in the worst cases flooding up through toilets and into homes. 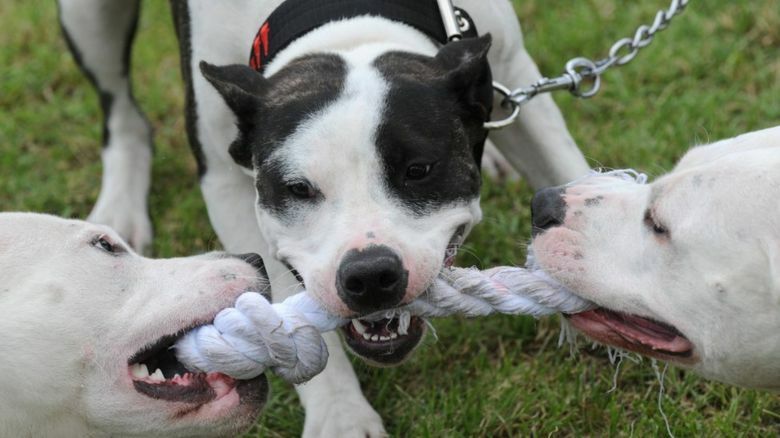 "We've found all sorts in this sewer - from tennis balls to planks of wood. It goes without saying they shouldn't be in those pipes." Harrow in London has had 13,417 blockages reported in the last five years. Shepherd's Bush has had 68. 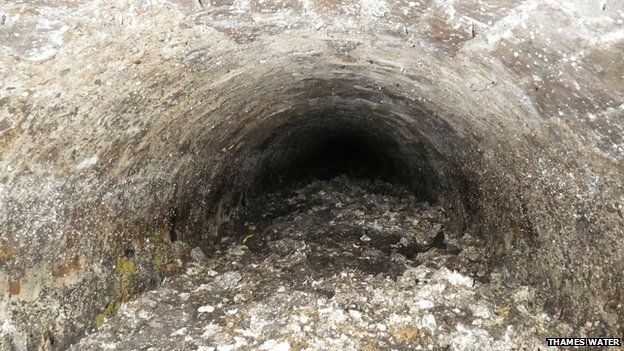 Kingston had a 15-tonne fatberg removed from a sewer last year.